Profile extrusion is extrusion of a shaped product that can be a variety of configurations but does not include sheet or film products. Profile extrusion can include solid forms as well as hollow forms. 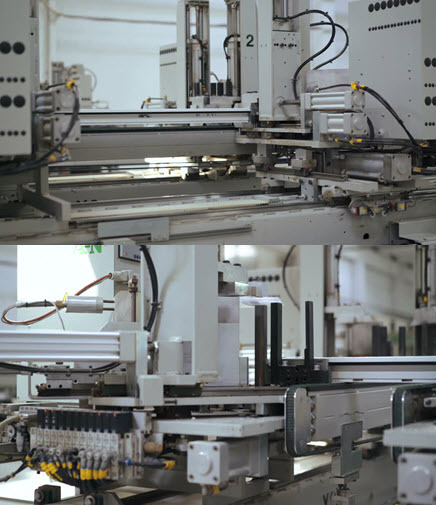 Products ranging from tubing to window frames to vehicle door seals are manufactured this way and considered profile extrusion. To process hollow shapes a pin or mandrel is utilized inside the die to form the hollow sections. Multiple hollow sections require multiple pins. To create these hollows a source of air is required to allow the center of the product to maintain shape and not collapse in a vacuum. Usually an air source will be utilized to keep the correct airflow in the cavity.